What is more summery than strawberries? Nothing really, except perhaps sun block. We tried distilling that but it tasted disgusting, so we went back to strawberries. 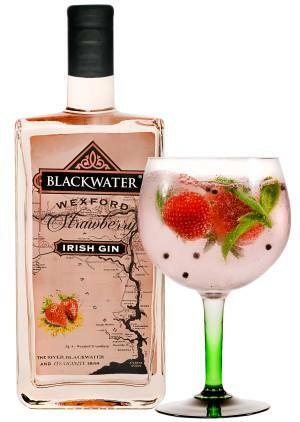 In all, thirteen botanicals are distilled to produce this gin, the largest of these being strawberry, as you might expect. The berries are grown for us just outside Enniscorthy (Co. Wexford) and transported to the distillery in a large cool box. After distillation, we soak even more strawberries in our gin (that’s how it gets its colour), then we bottle it. We don’t add any sugar or sweetener of any sort.